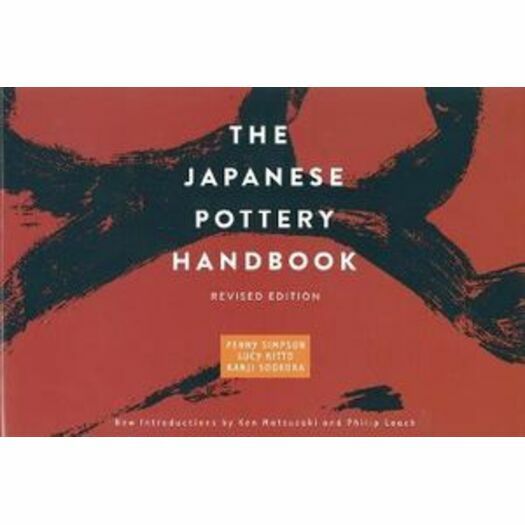 The Japanese Pottery Handbook, first published by Kodansha in 1979, has become a classic, beloved by anyone interested in pottery for its practical, step-by-step approach, and homespun charm. Now, thirty-five years since its publication, authors Penny Simpson and Lucy Kitto have refreshed their work, expanding and adding to the material, re-designing the pages, and re-drawing many of the delightful illustrations. The book has a cleaner, more modern look, yet retains the simple, friendly, and distinctively Japanese sensibility of the original. In addition to the new layout and drawings, the authors have tweaked the text and expanded several sections (including the discussion of underglazing and overglazing, and the Tea Ceremony and its utensils). There's also a new page showing different types of brushes; and the Information chapter has been updated to include websites and recent books. The book is a manual to the way pots are made in Japan, their forms, and their decorations. The authors give a thorough account of both traditional and modern techniques and also describe in detail tools, materials, glazes, and the setup of workshops and kilns. Lucy Kiitto's sprightly drawings infuse each page with life and clarity. Pottery terms and expressions are listed with their Japanese equivalents, and the new edition keeps the bi-lingual text, making it easier for the exchange of ideas between foreign students studying in Japan and Japanese potters. Penny Simpson's interest in making pots started when she was living in Japan in the 1970s. She loved Japanese food and was intrigued by the way the colors and textures of serving bowls were chosen to complement the food and the season. She studied pottery in Kyoto and explored many of the pottery-making areas of Japan before writing The Japanese Pottery Handbook, which Kodansha International published in 1979. Following her training at the renowned Dartington Pottery in the U.K., Simpson set up her own workshop in Devon, moving to her present location in Moretonhampstead in 1994. She enjoys cooking and making pots which enhance the pleasures of preparing and eating food. She also makes planters, tiles, and commissioned commemorative pieces. Simpson is a member of the Craft Potters Association (U.K.) and the Devon Guild of Craftsmen. She sells her work from her own showroom and exhibits widely in the U.K. and abroad. Kanji Sodeoka was Penny Simpson's first pottery teacher and collaborated with her on the original edition of The Japanese Pottery Handbook.